When it comes to responsible sourcing, the concrete industry is leading other construction materials. Data from the Concrete Industry Sustainability Performance Report shows that more than 92% of all concrete is certified to BES 6001 Framework Standard for the Responsible Sourcing of Construction Products and of the production tonnage certified, 90% has achieved 'Very Good' or 'Excellent' performance rating. The concrete industry is the first industry to link its sustainable construction strategy to BES 6001 and has produced a guidance document that supports the implementation of the standard. Designers can now easily source accredited material and gain maximum credits in sustainability assessment tools such as BREEAM. A full list of approved responsibly sourced products can be found on BRE's Green Book Live website. Responsible sourcing is a holistic approach to the sustainable assessment of materials. 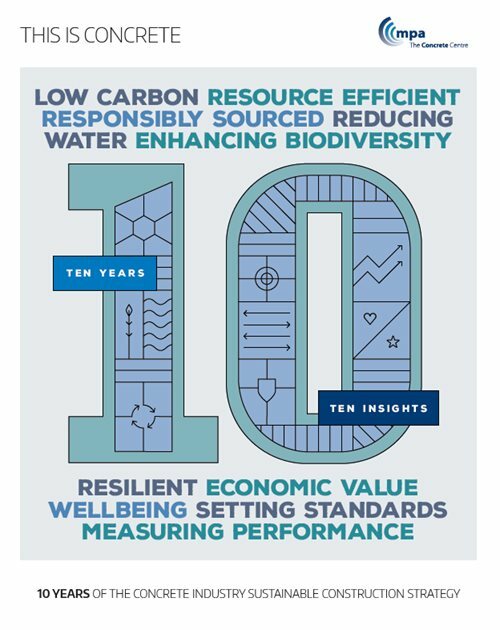 Responsible sourcing of materials (RSM) is demonstrated through an ethos of supply chain management and product stewardship and encompasses social, economic and environmental dimensions and is broader than the scope of many stewardship schemes. The latest listing of responsibly sourced materials to BES 6001 can be found at www.greenbooklive.com. The concrete industry is the first to link its sustainable construction strategy to BES 6001. For reinforcement steel, sustainability credentials can be demonstrated by specifying reinforcement accredited to the Eco-Reinforcement (www.eco-reinforcement.org) or CARES (www.ukcares.com) sustainability certification schemes. A responsible sourcing policy and comply with all relevant legislation. A quality management system that must follow the principles of ISO 9001. Have a greenhouse gas reduction policy and measures that comply with ISO 16064-1. Have policies that cover the efficient use of resources. Demonstrate that at least 60% of its constituent raw materials are fully traceable through its quality management system. This increases to 90% in order to achieve the highest performance in this area. Demonstrate that the supply chain has document environmental management systems that comply with ISO 14001. Demonstrate that the supply chain has documented Health and Safety system that are compliant with local legislation and record incidents. 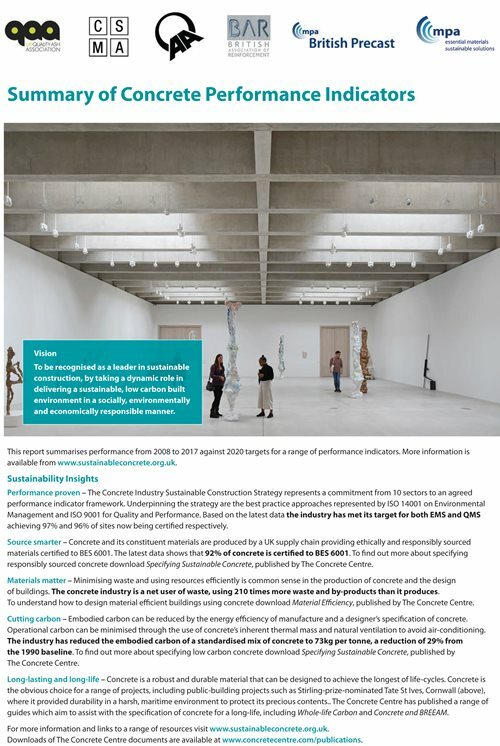 More information about specifying responsibly sourced concrete is provided in The Concrete Centre guidance Specifying Sustainable Concrete.